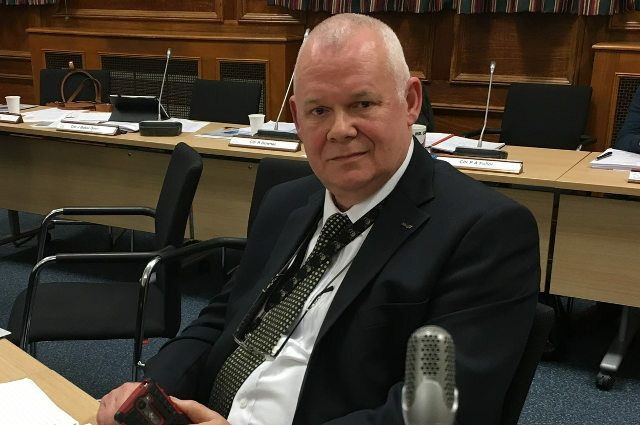 Cllr Geoff Brodie will be asking councillors to support his motion to reverse last year’s IWC decision to remove accountability of Cabinet members in a public forum. He says the decision was the only known example across LGA authorities. At next week’s Isle of Wight full council meeting, councillors will be asked to support a motion (originally intended – as reported – for the January 2018 meeting) calling for the reinstatement of their ability to ask questions of Cabinet members in a public forum. The Conservative majority last year voted to remove that ability and Cllr Geoff Brodie claims that through Local Government Association (LGA) research, there is no known example of this in other local authorities. Although a minority of Members opposed it, this Council last May voted to remove Cabinet accountability to Full Council in a public forum; a cornerstone of executive governance in a democracy. Research through the LGA has indicated that there is no other known example of this in other local authorities. Council notes that even the British Prime Minister and their Cabinet are accountable to Parliament through PMQs and regular Ministerial Questions, with the media and public in attendance. Council does not consider the provision of private Member briefings, written questions to Cabinet members behind the scenes, and questions to Cabinet members at Cabinet and Scrutiny – both relatively poorly attended by the public – to be an adequate alternative. Therefore, Council agrees in the interests of open democracy to re-introduce an agenda item for Member questions to Cabinet members at Full Council from February 2018. As usual, OnTheWight will be reporting live from the meeting from 6pm (Wednesday 16th May). 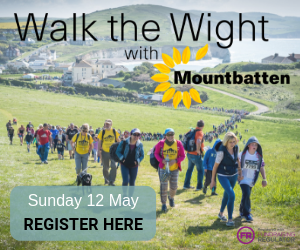 This following is from Megan Baynes (Local Democracy Reporter) as part of the BBC’s LDRS (Local Democracy Reporter Service) scheme, which OnTheWight is taking part in. A motion calling for the reintroduction of cabinet member questions at full council meetings is likely to be withdrawn. The motion, submitted by Independent Labour councillor, Geoff Brodie, was due to be debated by councillors at their meeting next Wednesday. However, Cllr Brodie said he was likely to withdraw it after council leader, Dave Stewart, addressed some of his concerns. The opportunity to question cabinet members after they had presented their monthly report was dropped last May to leave more time on the agenda to deal with other business. Currently, councillors can still question a cabinet member on budget and policy at any time and receive a response within five working days. The response has to be published on the council’s website. On Wednesday, councillors will also consider amending the authority’s constitution to include an agenda item for a leader’s update report to full council. If approved, 15 minutes would be set aside to ask questions about the report, with each councillor allowed one question. Another option on the table is a members’ question time of the leader where councillors have up to 30 minutes during full council to ask written questions and receive responses on any subject. “Dave Stewart has gone some of the way to addressing my concerns. Not all of the way, but I am a realist as well. 6 Comments on "Isle of Wight’s lack of Cabinet member accountability is only example in country, says Cllr (updated)"
… we’ll cheerfully vote them all back again – just like all the last times. Now if we had a real leader – but unfortunately Fidel is no longer with us. It’s not a “re-hash” Geoff, it’s an based on what’s in the papers for the upcoming meeting. I would have thought you’d be pleased that your motion is getting some publicity – instead you appear to be trying to deride what I’ve written. No intention to deride, Sally. Just clarifying. Any need I had for publicity has long passed. I guess the latest update to the article (from the LDRS) explains your earlier comment.